Active Ingredients : Safflower Oil, Sericine. Function: high degree of permeability of the skin. It acts as a cement to the damaged cuticle. Results : provides nourishing properties in the deep layers of the epidermis. Increases skin hydration. Designed for dry hair. To obtain hair soft, shiny and full-bodied necessary to deeply nourish the hair, moisturize the scalp and bring softness and manageability. 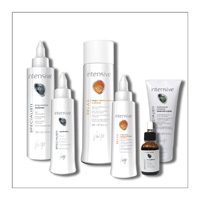 Provides the nourishment necessary to reconstruct the correct hydro-lipid film of the hair. Hydrates deeply. - Guar Gum quaternized : cationic polymer that attaches to the hair, conditioning, softens the hair and makes them disentangle. - D- Panthenol : Moisturizing and polishing. Deeply nourishes the hair without weighing it down. Donate extraordinary shine and softness providing a unique smoothness. 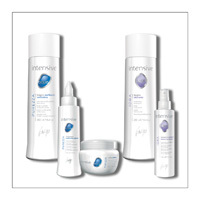 - Silk Proteins : low molecular weight, nourish, moisturize and soften the hair. - Vitalsoft : of vegetable origin, biodegradable, conditioning, increases the brightness of the hair. Package : pot of 250 and 450 ml. They bring extraordinary shine and manageability without weighing your hair down. Eliminate the electrostatic effect. Specific for dry ends. - Polysilanes mixtures of inorganic polymers derived. Give softness and shine to the hair exploited. - Flax seed oil : rich in omega 3, nourishes, protects and gives shine to the hair. package : 30 ml vial. 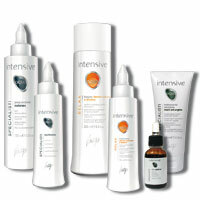 Adds moisture and deep restructuring the hair fiber, guaranteeing softness, vitality and shine. - Ceramide 2: complex molecule that strengthens the hair structure. Ceramide 2 is also known as the cement of the hair. Package : 7 ml vials in carton of 10 pcs.